HOUSTON, APRIL 13, 2016 – Sentai Filmworks is proud to announce its acquisition of Flying Witch for the Spring 2016 anime season. Based on the manga by Chihiro Ishizuka and serialized in Kodansha’s Bessatsu Shōnen Magazine, Flying Witch follows the adventures of 15-year-old Makoto Kowata, a teen witch whose only talent (currently) is being able to fly. In this supernatural coming-of-age tale, Makoto and her familiar, a black cat named Chito, move in with her second cousins in the beautiful and quaint Aomori Prefecture of northern Japan, where she learns to hone her magical skills. J.C.STAFF, the studio behind such hits as Azumanga Daioh, Little Busters! The Familiar of Zero, and Is it Wrong to Try to Pick Up Girls in a Dungeon? helms production. The series is directed by Katsushi Sakurabi (Gunparade March, Lunar Legend Tsukihime), with series composition by Deko Akao (Mysterious Girlfriend X, Noragami, Pretty Rhythm All Star Selection). 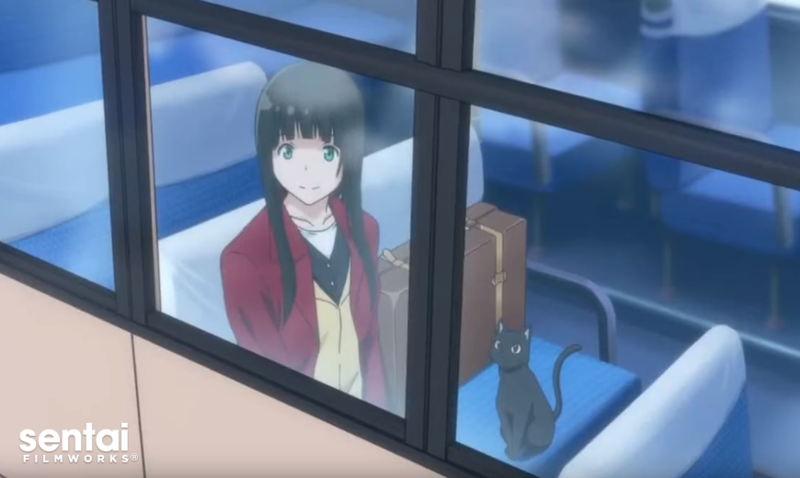 Flying Witch is scheduled for an April 2016 broadcast in Japan by Nippon TV. It will soon be available through select digital outlets with a home video release to follow.